Why Aren't You Taking Advantage Of YouTube? Why Aren’t You Taking Advantage Of YouTube? A shocking amount of people still have yet to consider creating a YouTube channel for their business or website. Considering that it is said to be the world’s second largest search engine after Google and is owned by Google (whose attention we all so desperately sought after), it seems crazy to me that there are still those who neglect the world’s largest video sharing website, leaving the market still largely untapped. Why should you be on YouTube? Video creation doesn’t have to be hugely time consuming, depending on the level of production you want to invest into it, you could set aside half an hour to produce a video and release maybe one or two a week. There are those who dismiss YouTube, proclaiming that they feel that they cannot contribute anything to (or gain anything from) the internet via the video medium. If you can produce something informative and/or entertaining, then you have something to contribute to YouTube. If you have a business or brand, then you have everything to gain from YouTube. At the very least you can increase your brand’s web presence and SERP (Search Engine Results Page) visibility, with Google now displaying YouTube videos relevant to the search query on their search results page. Some businesses feel limited on what kind of content they can actually upload to YouTube that will actually benefit their business and make a quick return on their investment. These guys tend to be those who place too much focus on promoting their products on their channel and these guys are the ones losing out. Let me ask you this: who do you know that watches TV primarily for the ads and commercials? No one. Don’t focus so much on product promotion, but brand promotion! You can utilise product placement in your videos or find a creative way of relating the video back to your product, but don’t let it play like a TV commercial. So now that you’re on YouTube…. YouTube is a social network. So treat it like a social network. You may think you have social media down, you may have even doubled your Facebook likes and Twitter followers in the past 12 months, but how about your YouTube subscribers? Like your social media followers, your YouTube subscribers are also endorsing your brand and the more you have the better you look. But they’re not going to just subscribe without getting something back; you have to earn their subscription to you. Give them an incentive to subscribe. A highly effective strategy for gaining any kind of social media exposure is by hosting competitions and giveaways. Have applicants follow you on all the social media platforms or Tweet or share whatever you want for “raffle tickets”, or create videos to enter in a competition. For example, if you’re in the marshmallow selling business, challenge viewers to video themselves seeing how many they can fit in their mouth – not only will they be out there buying your product, they’ll be promoting your product to the internet and doing the hard work for you! People will almost do anything for you for a chance to get something for free. You could even encourage the competition winners to upload product reviews of their prize to their own channel, linking back to you. Octoly’s recent study of 286 brands across YouTube claims that UGC (User Generated Content) videos on YouTube are more popular than official brand content. So what are you going to do about it? Make videos people will want to share. 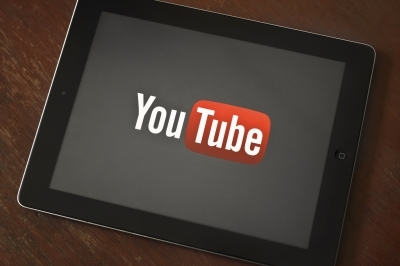 People are sharing YouTube videos all the time, whether it’s on their blogs or Facebook. By making sharable videos, not only are you potentially able to gain more videos and subscribers but, if you discover any external blogs or websites embedding or sharing your videos you can reach out to them and politely ask if they could credit you with a link back to your website. And if people aren’t sharing your videos, share them yourselves on your social profiles or by offering solution videos to Q&A forums. Market your brand and website to related communities. I mentioned before that YouTube is a social network, an indispensable one I’m sure you’re coming to realise now, so you have to reach out to your audience. You have to engage with other users, make friends and socialise. Much like commenting on blogs, you have to comment on related videos and subscribe. Collaborate with relevant channels to produce videos together, thereby sharing viewers with each other and gaining more exposure for the both of you. Think of it like guest blogging! You can check out my first YouTube Video effort for the Silkstream blog “How to Add Social Widgets to a Blogger Blog” here. Which, at the time of writing, ranks #1 in Google UK. Hayley is a search marketing strategist based in the UK. I think a lot fail to materialize on youtube as you need to have videos (obviously) and creating high quality videos is something most are not capable of doing. The process of learning how to make good videos may take a while, but the benefits in terms of traffic, SEO and visibility are huge. Seems like I’ve missed a great platform which is really great for getting referral traffic and also for affiliates. Most of the affiliate marketers use youtube for marketing their products and getting good conversion from it. And yeah i have few videos uploaded on youtube but I’m gonna work on the new videos and lets see how it goes. Thanks for your feedback, Ashish! Thanks but youtube is banned in my office and my timings are so worst how could i take advantage of it, but anyways this post was informative. Saim, I cant believe that any decent marketing/seo company office would have YouTube blocked! As Erik has suggested, get on it at home! And then you can demonstrate to your boss the advantages of using YouTube. another mindblowing article you have posted. I have read it and found it to be more beneficial for me as it contains exactly the information required by me. Really youtube have great advantages. I appreciate your writing and blogging skills. Yes, Nitin, a very interesting article from Hayley! Youtube is one of the best Social Media when compare to other video uploading sites. You have mentioned the clear ideas about youtube. But it will be better, if you include some of the websites or software’s to create video’s for youtube. Creating video will take just half an hour, but most of the bloggers and newbie bloggers don’t know how to create effective video. Expecting another post about “How to create an effective video” from you Erik. Thanks for sharing this. Hope to see your comment in my blog. Thanks in advance. YouTube is a huge source of traffic, if used in the right way! I think Youtube is a good strategy to increase your followers and visitors also. youtube those days is like a huge community and you also can get incomes from it if you become a Youtube partner( As a Vloggers like NigaHiga). Thanks for sharing your view, Stephan. I’m one of the people not utilizing YouTube for my online business. I have a channel but I don’t have many videos on it. Your advice has been a huge help. I am making it a goal to get more involved on YouTube in 2014. Thanks so much for the inspiration. Yes I’m working on my new youtube channel and creating some unique videos for readers. And believe me I’ve gained lot of exposure to my blogs or leads shared. If your videos went viral, you can earn money from it too, right? In certain countries you can participate to YouTube affiliate program, to make money with your videos, depending on the views number, Judy. Great information! We have been utilizing video in our business and have had a great local response. Keep up the great content! -Thankyou again Hayley for your tips. Yes you are right most of people including me neglecting youtube and I must say youtube is very awesome platform for marketing or any other stuff. I guess youtube is really best for video marketing and also we can expect lot of exposure from youtube I guess. I used youtube to promote a lot of my niche sites and i must say the results is always outstanding! If you are a blogger and you are not taking advantage of youtube already, then you are missing out. Youtube can give chunk loads of traffic. Thank you for the article Erik.